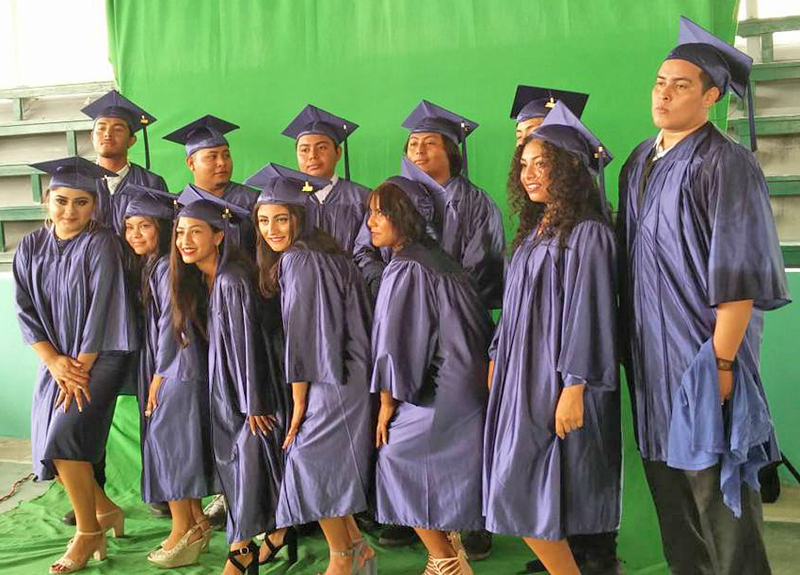 17 proud students from San Pedro Adult Continuing Education (SPACE) finished their secondary education and were awarded their diplomas during the sixth Commencement Exercises held on Sunday, June 10th at the Angel Nuñez Auditorium. The graduating class of 2018 was honored before relatives and friends for achieving their goals of finishing high school. After the singing of the National Anthem, fellow graduate Michael Sosa delivered the Salutatorian remarks under the theme ‘A Lesson Learned in Time.’ He commended those who made an effort to encourage him and his classmates as it has led to their achievement. Guest speaker Giselle Lobos congratulated graduates for their monumental achievement and encouraged them to never give up and to work hard to pursue their dreams. She urged them to continue on the path of higher education. The valedictory address was then delivered by graduate Daisy Martinez. She thanked family, classmates, and friends for their unconditional support in her four-year journey of studies. She invited her colleagues to continue chasing their dreams and to never back down. Immediately after, the 2018 patrons, Mr. and Mrs. Roberto Canche distributed diplomas, complemented with the individual awards presented by fellow graduate Glendford Castillo. The graduating class then sang, ‘What We Started,’ followed by the Vote of Thanks given by Nehemias Pol. ** Honour Roll and Valedictorian *Honour roll.